During the celebration of the XXIV Edition of the Havana International Trade Fair, a gathering with the press and various entrepreneurs took place on Nov. 2nd. 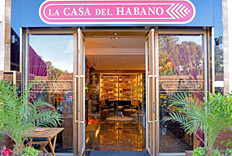 The reception was hosted by Habanos s.a. Commercial Vice-president Mr. Manuel García Morejón and Operational Marketing Director, Mr. Enrique Babot Espinosa. Introductory words by Mr. García about the next Edition to the Festival to be celebrated from February 26th until March, the 3rd, were followed by a general explanation about the of the main activities to be held during this event and also mentioning the Trade Fair associated to the Festival, the commercialization results in 2006 and offering a general perspective about the Habanos market stating that our commercial goals and positioning are very encouraging. 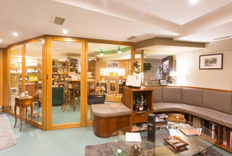 Many questions were raised about this well-known event and its relevance for the smokers thus emphasizing that the IX edition of the Festival will be committed to celebrate the global brands mostly and the launching of new products that will be meeting the expectations of the Habanos lovers. Habanos s.a. prove its consolidation in the global cigar market strengthening up its position as a leading company in the commercialization of Premium cigars and enhancing more and more the brand image with new designs as well as the introduction of new products within the most prestigious brands. 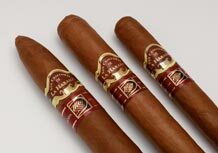 Each one of these three beautiful cases comprising 25 units were named after three ancient streets of Havana. 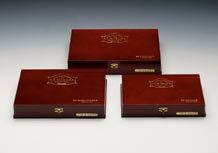 These cases produced under the Special Series concept (exclusively aimed to Las Casas del Habano worldwide) are, among others, in permanent exhibition at Habanos Stand located in the Central Pavilion. The XXIV edition of the Havana International trade fair took place from October 30th until November 5th, 2006.